we give you cash. It’s that simple! 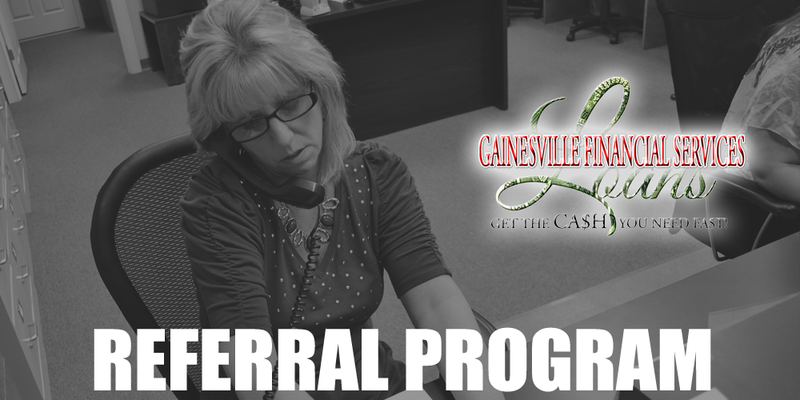 You can refer us to family, friends, or even complete strangers! You can use the links online share us on social media sites, or e-mail our page to your contacts! You can use morse code, smoke signals, flare guns, etc. (We’re kidding. No guns, please). But seriously, the old-fashioned way has always worked for us. It puts cash in your pocket, and is the reason we’re still doing business with third and fourth generation customers. Just make sure they tell us your name when they come in, and once a loan has been finalized with them, we’ll cut you a check on the spot. It’s our way of saying thanks for the support!